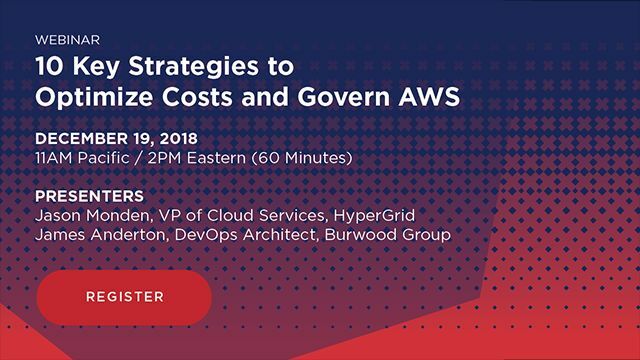 You will have the opportunity to listen to Burwood Group's Cloud Architect, James Anderton, on tips and tricks to continuously optimize your cloud, take advantage of new technologies from AWS and get more bang for your AWS buck. Learn how you can kick it up a notch with intelligence, analysis and automation to deliver faster results for new and existing workloads. You'll also receive a complimentary copy of their e-book that provides valuable insights into how you can optimize your AWS environment while saving 30-50% of your cloud computing costs.